So it’s been two months since Google let a new update quietly fly the coop. Colloquially referred to as Pigeon, it is an update to the local algorithm results Google uses to display search data. Though Google usually names its major updates after birds, this one went quietly and unnamed, like an owl in the night. That being said, this was a big one! Discovery of the update’s intricacies have allowed businesses to realize benefits applicable to multiple levels of their supply chains. Whether in regards to their marketing spend or new supplier pursuit, Pigeon has revealed convenience in many unexpected forms. The good people at Search Engine Land dubbed it “Pigeon” for its focus on local search results. Google said the update was a stopgap measure intended to bring local search results into better synchronicity with traditional organic search results. During a creative/digital agency search in the research phase, for example, this search capacity can present a firm with candidates equipped to provide local support but who also are qualified to meet the exclusive needs of the business. In the sourcing process, Pigeon would prove an asset in identifying suppliers who have the necessary core competencies and cultural make-up, while being local enough to produce an effortless partnership. From the other side of the equation, a supplier can utilize Pigeon to improve their search rank and become more readily sought for a sourcing engagement. Since Yelp, Tripadvisor, Zagat, and Yellow Pages are trusted sources of business listings, these outlets can tie into local search placement if a business is registered. Pigeon recognizes their expertise at providing quality, local results, and shows its avian gratitude by positioning their database pages higher in the search results. Search engine enthusiasts and Google-watchers of all stripes quickly observed that websites were experiencing differing impacts depending on the industry in question. Some industries, like hospitality, food, and education, reported significant (up to 30%) growth in Google Places results. But some areas experienced a very significant reduction in referrals, with Google Places results for jobs related searches down a whopping 68%. Real estate, cinema, and insurance results also took a hit. One thing that’s important to mention is that, as of this writing, the Pigeon update only applies to the United States. Previous US-only launches have often been expanded to the rest of the world market after extensive US-market testing. 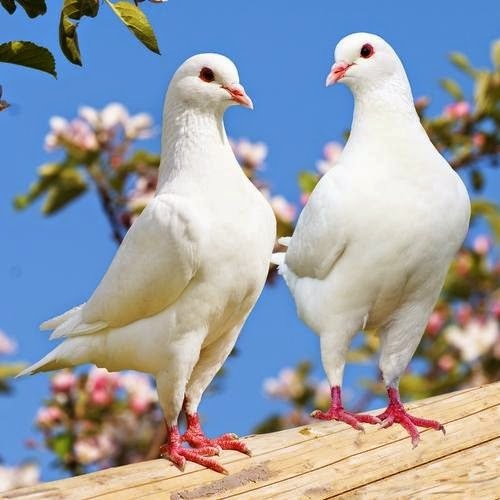 For this reason, Pigeon may have a negative impact on global suppliers due to the fact that although they may be qualified and offer competitive rates, if they are not the most local, they will be affected in terms of ranking. Since many businesses will not be fluent in these search changes immediately, organizations can miss out on opportunities to capitalize on nearshoring without further investigation outside of a Google search. As previously mentioned, with Pigeon, Google intended to bring local search results more in line with regular Google searches. This was in some ways just going back to Google’s original intent as a search company: to determine a way to calculate a page’s value based on how much it’s appreciated around the web at large. This concept has been Google’s game since, well, forever. This concept brings hope to local, small businesses who are unable to fork out the marketing budget towards paid keywords as a global corporation would. If their webpage is generating organic traffic through SEO, there is no longer a need to allocate marketing spend towards Google’s paid options, and resources can be redistributed to other areas. If realized, this can set the stage for a considerable savings. Before Pigeon, Google allowed its local search results to be driven chiefly by proximity to the searcher. This worked to give you results that were truly local, but like anyone who has used Yelp in the middle of nowhere, sometimes hyperlocal results are the same as bad results. Pigeon just made the search results a bit more discerning based on the quality of the links they retrieved, as well as the proximity. This served to bring the local search engine more in line with Google’s traditional goals as a company. This focus on higher-quality results is great from a procurement perspective, ensuring that buyers are better able to find the highest-quality local suppliers, instead of just the ones that are the closest to the city center. Though numbers are still being analyzed, this turn toward local databases seems to have made it easier to find quality local results. The new results are also paradoxically more dependent on traditional SEO signals than they used to be, which means that some older, less professional operations might take an SEO hit. This is another factor that contributed to ascendance of databases like Yelp and Tripadvisor, with their highly-tuned SEO. As always, it can be difficult to see how much you’ve been affected by a Google update, if at all. Pigeon is intended to affect local search results, so if your business is web-only, you shouldn't see any changes. To see how you’ve been affected, check your analytics logs for changes in statistics after July 24th. Google’s algorithm changes tend to evidence themselves instantaneously with sharp jumps or drops immediately after rollout, followed by an equally-abrupt levelling off at the new value. If your results don’t show this feature, breath easy! You’re probably not affected. I’ve been affected. Now what? As bears repeating with all Google updates, Pigeon was aimed at increasing the value of results to Google searchers, not the businesses affected. The logic remains the same: higher-quality results are going to be rewarded. The basic logic remains unchanged, which means that SEO best-practices are pretty similar to their pre-Pigeon status. Just continue to use standard white hat SEO practices: write for humans, not robots. Pay attention to your keyword spread and density, and make your URL structure transparent. Now, more than ever, it’s also important to make sure your business is listed on local results databases in order to take advantage of a potential new business relationship. Now is the time to sign up for Yelp and get listed on Zagat and Tripadvisor. In addition to driving web traffic, recognition of the update’s complexities can help you further optimize your business’ supply chain and remain competitive. Brought to you by: Nick Rojas - Nick is a business journalist who uses his experience consulting for Small and Medium Enterprises as an asset when writing. Follow him on Twitter @NickARojas.